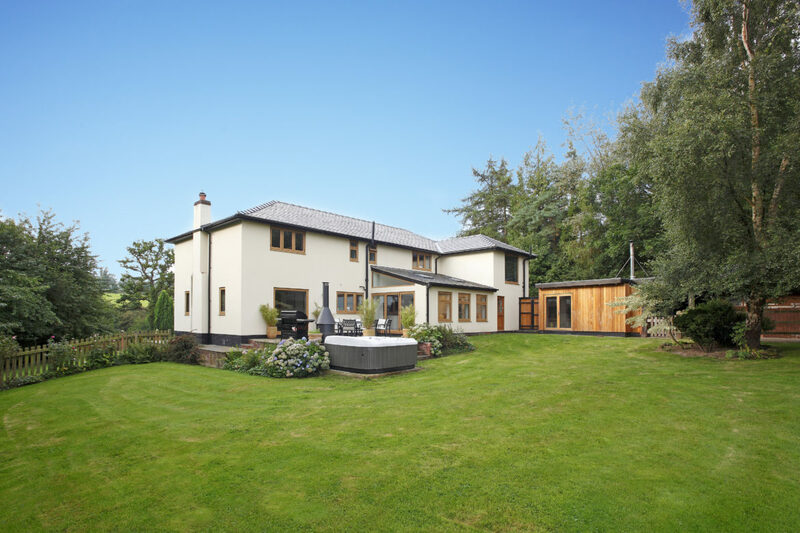 Our client purchased a typical 1970's built detached property on an outstanding rural 3 acre plot. 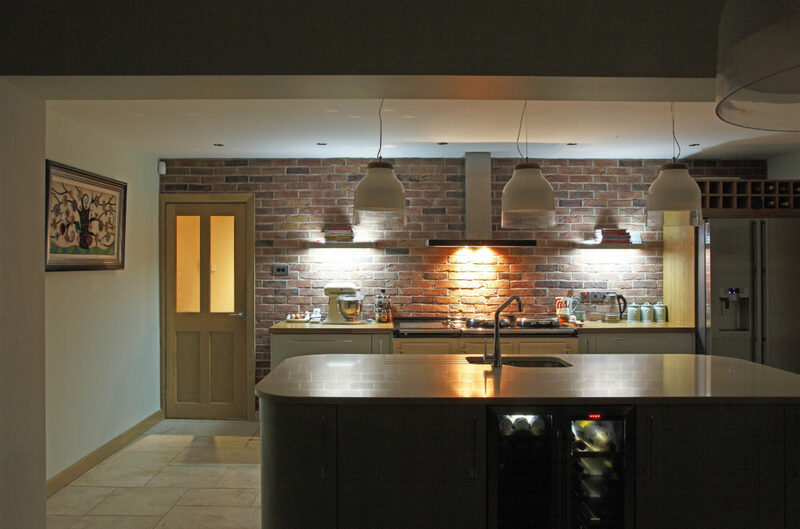 We were contracted to design and extend the original building. The interior room layouts were reconfigured to take advantage of the stunning rear views. The new scheme was designed, and planning approved for a 30% increase in floor area. 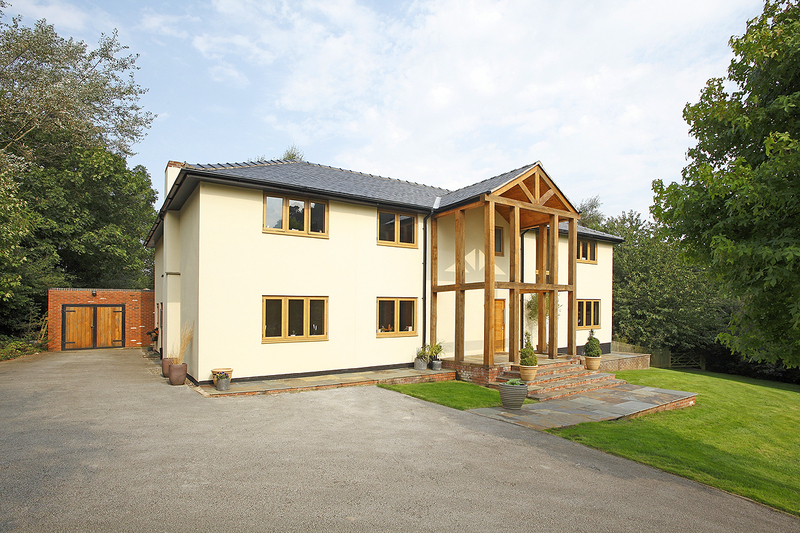 A double-storey oak porch was added to the front elevation to create a focal point. The roof was redesigned and replaced. 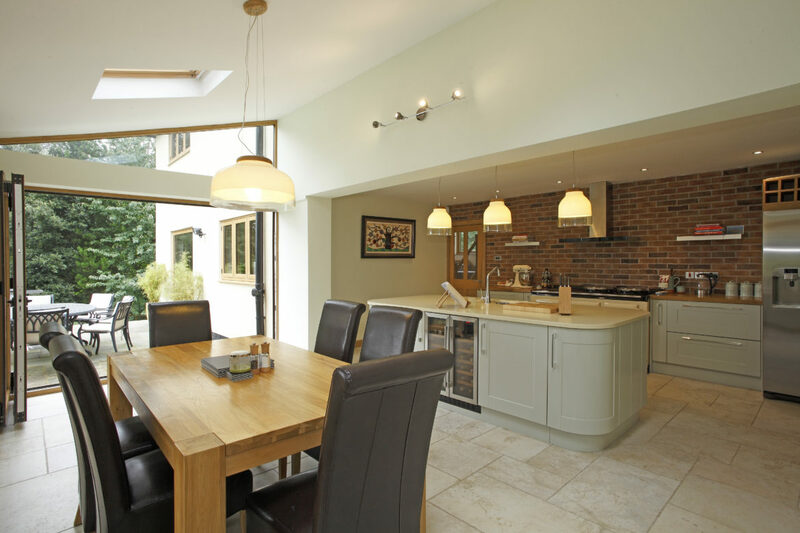 The original kitchen was extended to introduce a new vaulted ceiling and extensive glazing. Bi-fold doors were introduced to access a raised patio and hot tub area.